This one is perfect for the summer and packed with delicious tropical flavors. 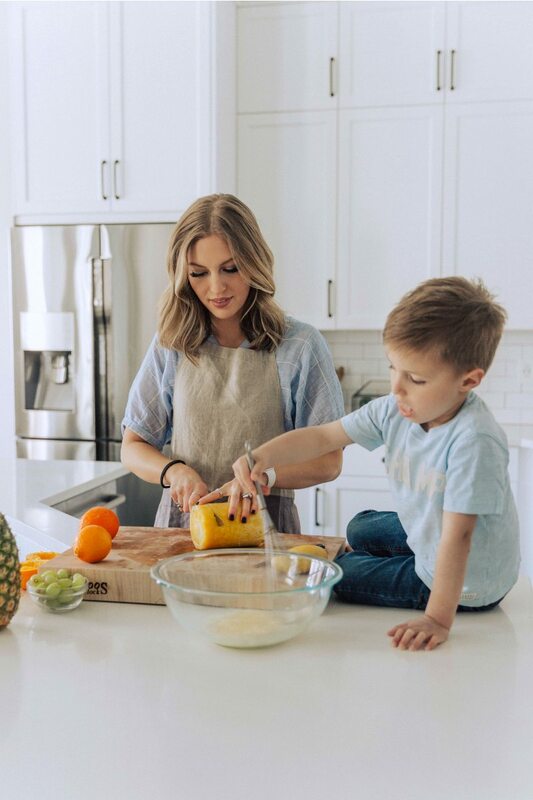 Both my boys and I are obsessed with (virgin) pina coladas so after adding those flavors to a fruit salad it’s safe to safe we’ll be eating this everyday for the rest of this summer. 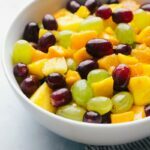 🙂 When experimenting with the “dressing” for this fruit salad, I tried several pina colada mixes, including a frozen concentrate one, and there was a huge difference in the mixes. 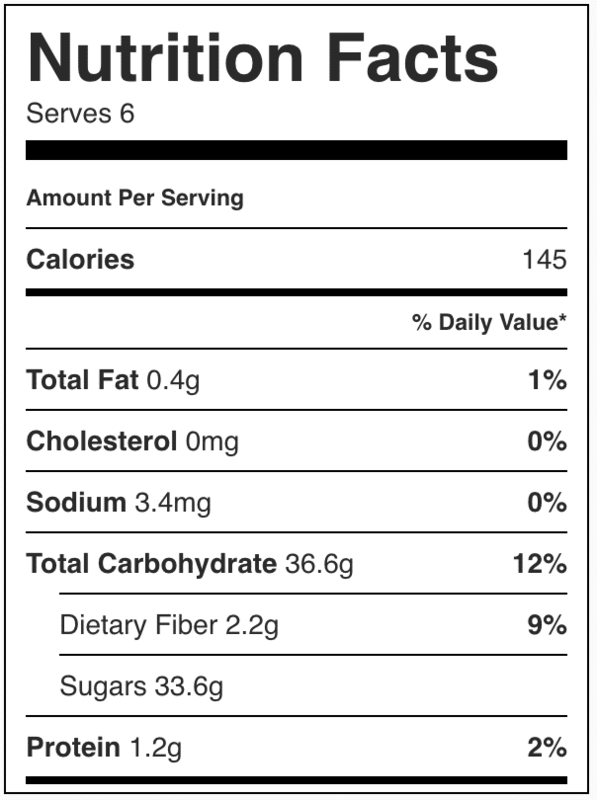 Here is my favorite pina colada mix for this specific salad. 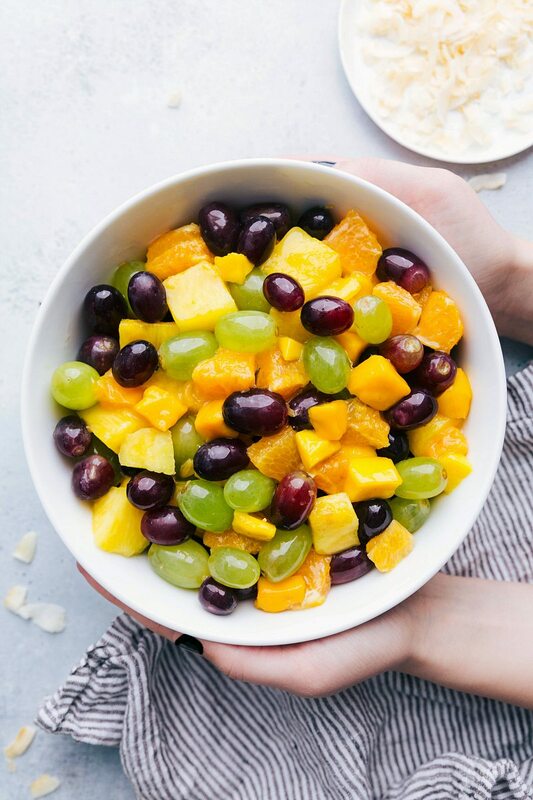 What are the ingredients in this pina colada fruit salad? 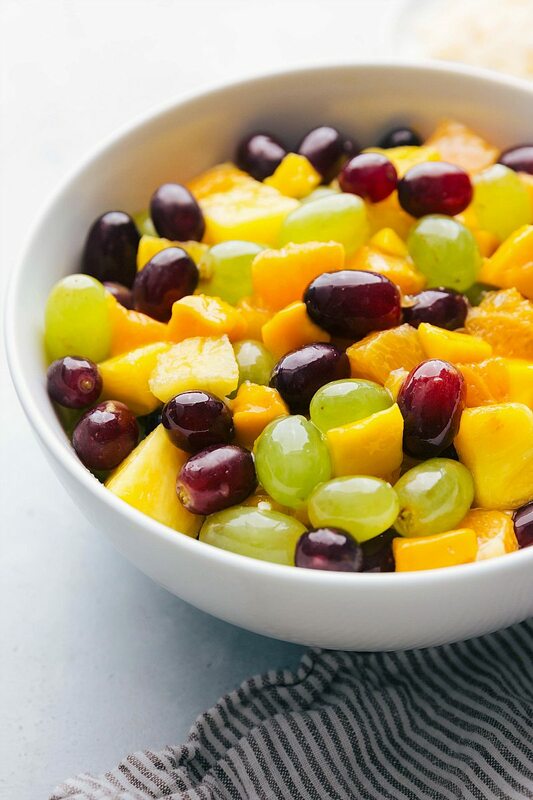 This pina colada fruit salad is packed with good ingredients! We’re starting with honey mangos (Ataúlfo) which I love because of their flavor! Ataúlfos have a very sweet and delicious mango taste and the best smooth texture — they don’t have a lot of the fibrous textures found in other varieties. To know if a Ataúlfo (honey) mango is ripe, it will be soft to the touch and the skin is often a little wrinkled. To keep with tropical flavors we’re also using fresh pineapple (you can buy fresh pineapple that has the rind and core removed in the deli/fruit section of many stores if you’re in a hurry!) along with green and red grapes! The last fruit we use are tangelos. Tangelos are a citrus fruit hybrid of a tangerine and grapefruit. They are sometimes referred to as honeybells. I like tangelos best in this salad because they add a great citrus taste while also keeping the salad fresh. To bring all the fruit together, keep it fresh, and really punch of the pina colada flavor, we’ve got a simple homemade pina colada dressing. The dressing is made from pineapple juice, freshly squeezed orange juice, and some coconut and almond extracts. The flavor of this dressing really sets this pina colda fruit salad apart from your average tropical fruit salad. A fun tropical topping to this salad is adding a handful of unsweetened coconut flakes. Adding coconut flakes really steps up the flavor and texture of this salad. 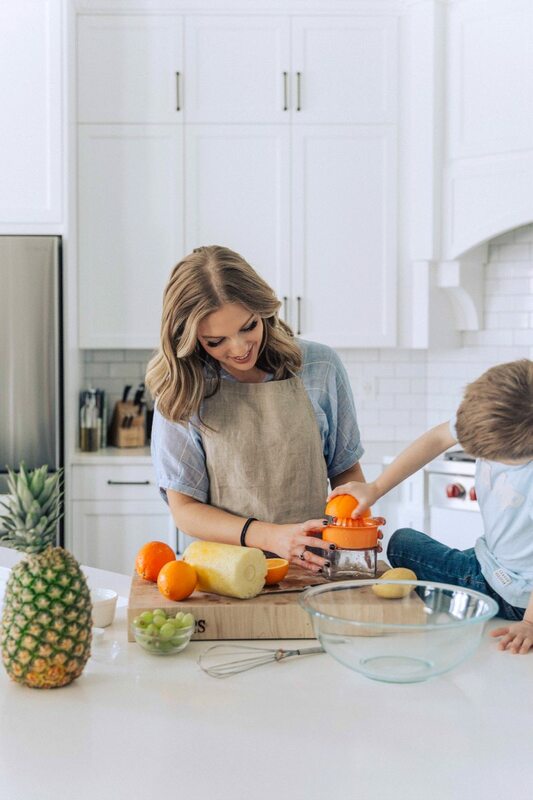 Obviously I love the fruit mix I’m sharing in this recipe, but you can definitely substitute in or out your favorite fruits! The important thing to note is that some fruits don’t play as well together as others. You want to separate acid from sweet. Acidic fruits like pineapples and grapefruits don’t pair as well with sweet fruits like bananas and figs/dates. What do you put in fruit salad to keep it fresh? Some fruits are vulnerable to browning when their inside flesh is exposed to air or oxygen, like sliced or chopped apples, pears, or bananas. A splash of lemon, orange, or any other citrus juice will help keep vulnerable fruit from turning brown. That’s why adding fresh orange and pineapple juice to this salad does more than just create a tasty flavor. It helps keep the salad fresh. Ahh you definitely have to try it! It’s one of the best combinations! this is the first time i am seeing a pina colada fruit salad, very innovative and out of the box recipe!